The small, family oriented community of Madeira Beach is casual and friendly, offering a sunny welcome to all who vacation by its wide, white beach. Watersports, fishing, golfing, beach walking, and quiet relaxing are favorite pastimes on this popular but never crowded area. Las Brisas, beach front condo is overlooking the Gulf of Mexico on the west and Boca Ciega Bay a few blocks to the east, Madeira Beach provides an ideal setting for all seasons vacation fun and relaxation. Hands down, one of the best vacations ever. The condo was very comfortable. (I loved the couches) Everything was clean and well stocked. The beach is beautiful and close to the fun of Johns Pass. Thanks for the memories...we'll be back for sure! Great condo rental. Location very close to all necessities and services. Condo itself had everything we needed. Being right on the beach was wonderful. Easy to be on vacation. We really enjoyed our stay in Anthony and Lidia’s condo. The condo was very clean and well equipped. The beds were very comfortable and had high quality bedding. We have stayed in 4 other units in the same building in the past and this was by far the nicest we have stayed in. Anthony even called after we settled in and prior to check out to see if we had any questions. We are happy to hear you and your family enjoyed your stay, and thank you for treating the condo as if it was your own. We had an enjoyable holiday week overlooking the beach. The condo was very convenient to restaurants, coffee shops, drug store, ice cream, and shops; and was within walking distance of Johns Pass. The condo was nicely updated, clean, and comfortable. The owners Anthony and Lidia took a personal interest in making our stay trouble free. Thanks again for a great week! 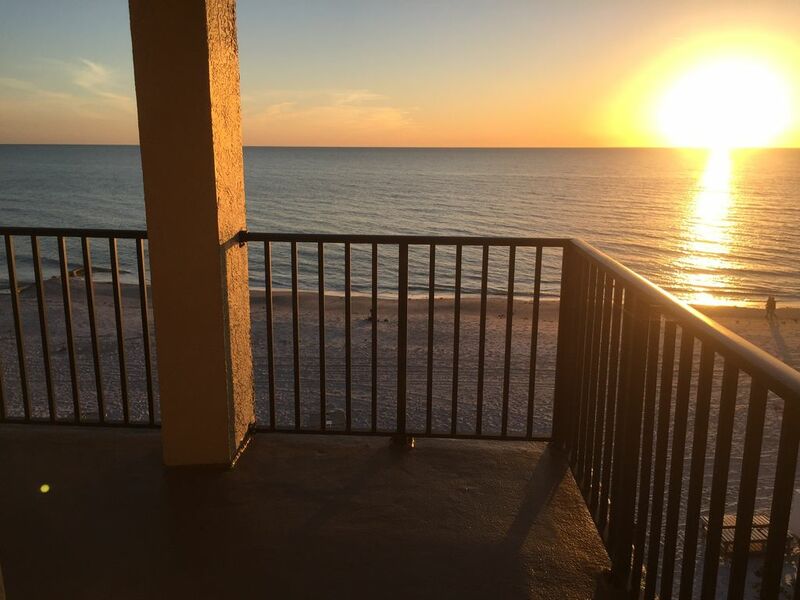 Thank you Paul for choosing our unit and Beautiful Madeira Beach for your family's vacation. We had an amazing stay in this modern and comfortable condo right on one of the most amazing beaches in Florida. Lots of room for us and our three teenage boys to spread out and commune. The condo is 5 minutes from all essentials and being right on the beach we were able to enjoy it at all times of the day without moving. Special treat was watching the baby sea turtle nest be tended to by the Turtle Patrol and even saw one survivor make his way to a life long journey in the sea. Lidia and Anthony were great to work with and provided everything you need for a relaxing week at the beach. The property is very clean and close to everything Madeira Beach or St. Pete has to offer. Thanks for letting us use your condo for the week. Thank you for the review and for choosing our unit for your family's vacation. Madeira Beach is located on the west central gulf coast of Florida directly on the beach, 30 miles from Tampa and 100 miles from Orlando.